The Music Library has a new exhibit case! We are very excited to have a new case to feature items from our collection. The case is located between the Beta Space and Seminar Room doors. Displays will rotate throughout the year and we will be opening up slots for students to try their hand at curating exhibits tied to the performing arts and scholarly research. 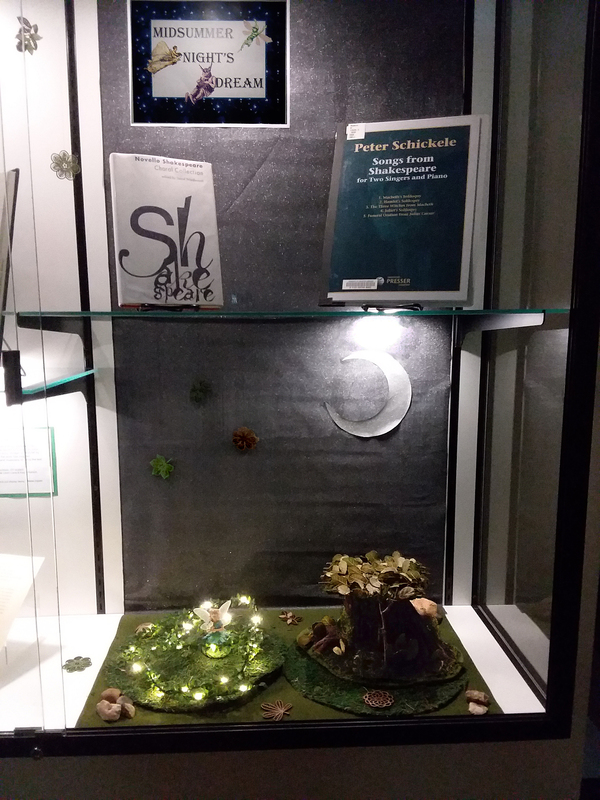 The current display is A Midsummer Night’s Dream and is co-curated by our own student worker Kyrie. Please stop by to see the entire exhibit, complete with a fairy garden. If you are interested in curating a display, please inquire at the front desk in the Music Library for more details.